Sure, breastfeeding is super practical. Your baby food comes out in the right temperature, on demand, it is completely free and your little one finds it delicious. However, your baby will eventually start taking interest in solid foods and If we are not careful, the transition to solid foods can be a complete mess. 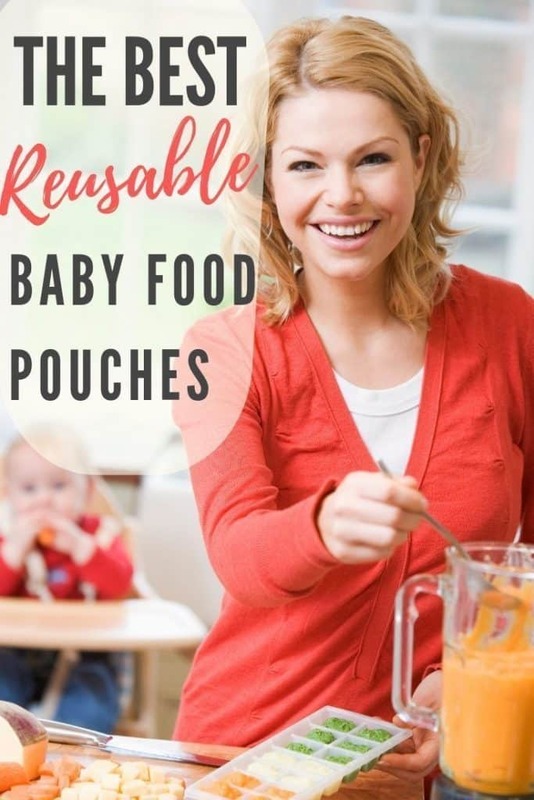 In this post we review some great options for reusable baby food pouches that will help you store and organize your homemade baby food like a pro. 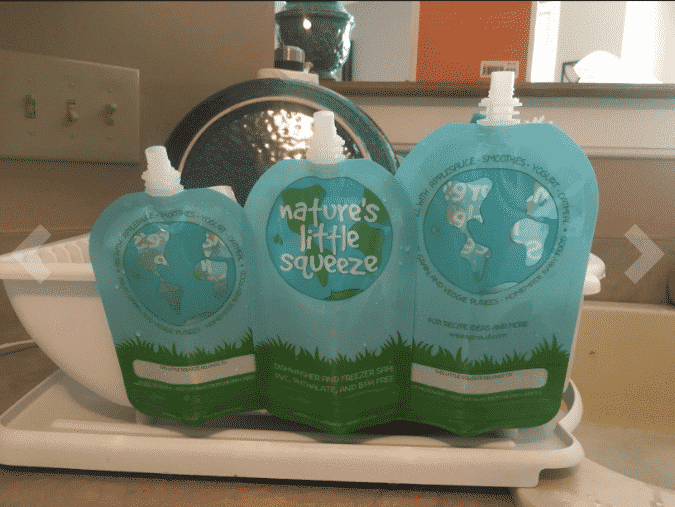 Why do you need reusable baby food pouches? Many parents have jumped on the “make your own baby food” wagon. It is indeed priceless to have absolute control over what you feed your baby. By cooking your own baby food you can feed your baby with beautiful organic locally grown veggies and fruits. It is healthier, greener and it just feels good. If you are really going to commit about making your own baby food, you need to take it seriously. The last thing you want is a screaming hangry baby, waiting for mom or dad to figure out how the baby food maker works! Therefore, be proactive. Prepare your baby food ahead of time. That is exactly why you need reusable baby food pouches. It allows you to organize days or even weeks worth of delicious meals to your little one. It is just more environmentally friendly. Think about it. Are you really going to throw away a plastic pouch every single time your baby has a meal? How much unnecessary garbage are you going to produce? In essence, it is much cleaner and cost effective to reuse these pouches after a quick wash then to keep buying disposable ones. What to look for when shopping for reusable food pouches? BPA Free – BPA stands for Bisphenol A and it is commonly used in the plastic industry. However, this chemical product is dangerous for babies and children. Parents should always be on lookout for BPA free whenever they buy something plasticky. Ease to use and clean – The whole point with reusable food pouches is the ability to use, clean and have it working like new again. Some food pouches are easier to clean than others. Quality of the seal – When it comes to food storage we always need to make sure that the recipient seals properly. Good quality seals ensures that the food lasts longer and minimizes the risks for your little one. 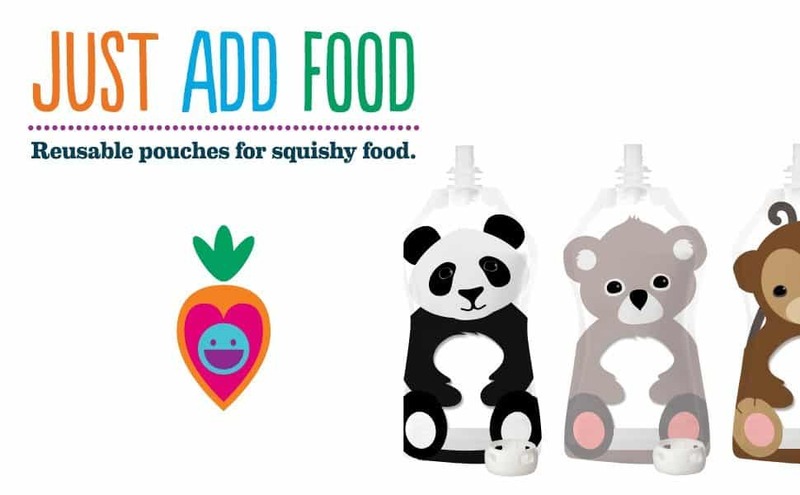 The food pouches from Squooshy are super adorable. Not only that, they are also easy to pop open, load up and clean. Thanks to the good quality zipper on the bottom of every pouch. Of course, after cleaning these food pouches are ready for reuse. But it is nice to have a handful of those. We can store different baby food recipes, fruits and veggies, and all that good stuff. 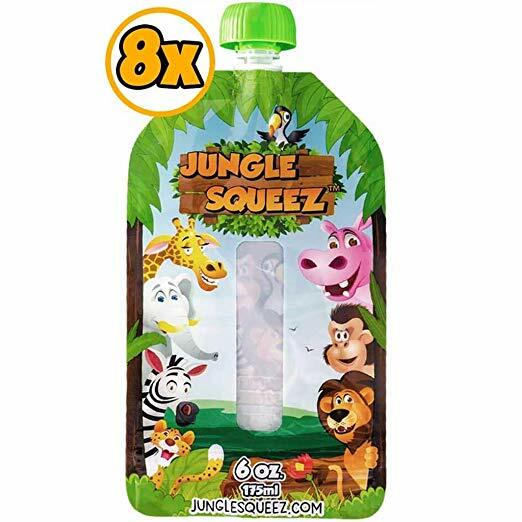 So, our recommendation for you who is looking for the best bang for your buck are the food pouches from Jungle Squeez. They come in sets of 8, 16 and 24. 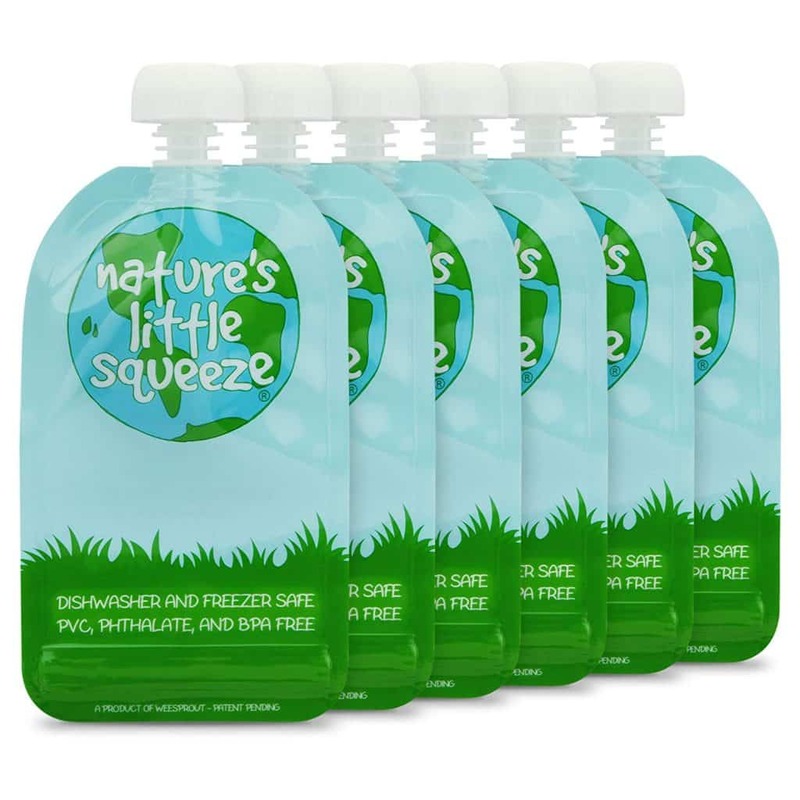 The 8 pack costs $13.47 (that is $1.68 per pouch) and they hold a volume of 6 oz (175 ml), which is more than most pouches out there. And, the best all around reusable food pouch in terms of ease of use is the WeeSprout double zipper pouch. In particular, this is one of our favorites is because it does check all boxes. It is free of dangerous chemicals, environmentally friendly, it is easy to fill, easy to clean and it comes in three different volume sizes. You can buy it in the 3.4 fl. oz., 5 fl. oz., and 7 fl. oz. As much as these food pouches are super convenient, there are a few draw backs you need to be aware of. Most importantly, parents must be aware that there is a lot more about baby food than just taking in the calories and vitamins. For example, eating solid foods will expose your child to a variety of textures and flavours. This is very important for your baby to develop a healthy relationship with food. Not only that, but even speech can be affected if the child completely skips learning how to chew and swallow soft solid foods. So, just keep it in mind. Food pouches are great but do not deprive your child of exploring actual solid foods and their different flavours and textures.